Elliot Mainzer has been trying to set a cultural turnaround in motion at the Bonneville Power Administration since stepping in as administrator of the federal power-marketing agency in the wake of its 2013 veterans hiring scandal. The results of an agency-wide employee engagement survey circulated internally this week suggest that he and his leadership team still have a ways to go. 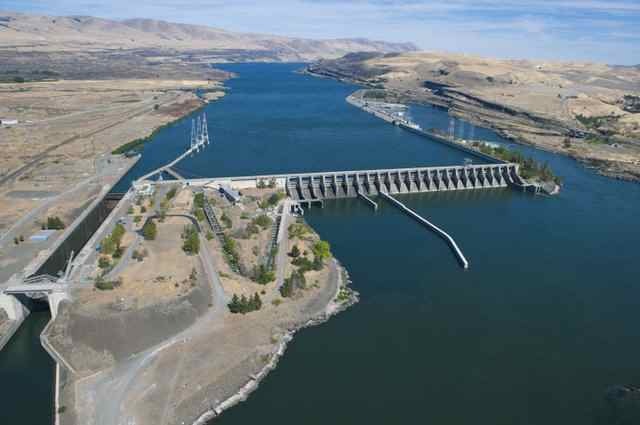 The Portland based power marketing agency is the behemoth of the region's electricity industry and an integral part of its economy, selling low-cost power from 31 hydroelectric dams and operating three quarters of its high voltage electrical grid. Audits and investigations of the agency in 2013 turned up massive dysfunction in its human resources operation, and a general malaise with its management culture. About 83 percent of the Portland based agency's 3,000 federal employees responded to the survey, conducted by the Gallup organization. The results showed some pockets of progress. But the overall message from employees was that BPA had made little headway improving internal communications, fostering a positive work environment or making its strategy and future direction clear to employees. Mainzer said in an interview Friday that much of his energy in the last year has gone into building capabilities of the agency's leadership team and making sure they walk the talk. The aim in the coming year, he said, is to provide resources and training to make sure those behaviors are trickling down to front line managers and supervisors. The goal, he said, is not only to deliver on the agency's technical mission, but build a positive, inclusive culture where employees are empowered and engaged. "I don't think any of us expected to turn the ship around overnight," Mainzer said in an email to employees on Friday. "We knew it was going to be a long journey, and the survey results emphasize that." Gallup's survey results still classify more than six in 10 of Bonneville's employees as "not engaged" or "actively disengaged," meaning they either feel no psychological connection to the organization, or are unhappy with their work situation and actively sharing that dissatisfaction with colleagues. Perceptions of the organization were particularly negative among Bonneville employees who maintain and build the region's electrical grid, as well as those in the agency's information technology department. Survey results also included bottom up scores on more than 200 managers. The lowest manager scores came in the same areas. Gallup says its results as good indicators of an organization's future performance. Bonneville's overall results put it in the bottom quartile of organizations that Gallup surveys. "Many of the things we've set into motion under the action plan may not be visible or feel tangible to you yet," Mainzer said in his email to employees. "One of the things I've learned from Gallup is that it can take 18 months for employees to feel the results of an executive-level action."